Thanks for sharing Penny. I'm a 48 year old mother interested in matcha to calm my nerves, possibly lose weight, and get more energy to make through a strenuous day. Hi Penny, thanks for this post. 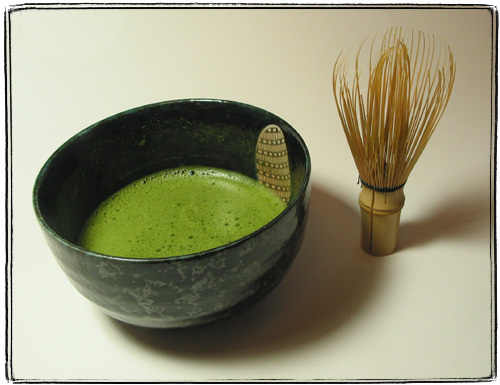 Where do you recommend buying Matcha powder? Depending on where you live..I'm not sure where you are. If you are in Toronto, you can get Matcha at David's Tea, or even Tealicious or Teopia. Please note that Matcha will serve useful when it is use to complement a health regimen you're practicing. But it is not a replacement or a substitute for practicing your health regimen. It cannot work effectively alone. It will only work best when added to the practice of living a more balanced, healthy life. It's like brushing your teeth, flossing and rinsing. All three practices work together to maintain healthy teeth and gums. But doing just one of the three things will not help maintain the health of your teeth. Matcha works the same way. Make sure you are exercising regularly, eating nutritious, balanced meals and getting enough rest...then Matcha will certainly act as the added bonus to help you achieve your ultimate goal! Must try this healthy green tea. Good to know about this health benefits! Hi, Great Post. The above explained benefits of Green tea have really inspired me. Thanks for taking time to share such a helpful information. Keep blogging. These herbal green tea sound amazing! I need to try them soon!